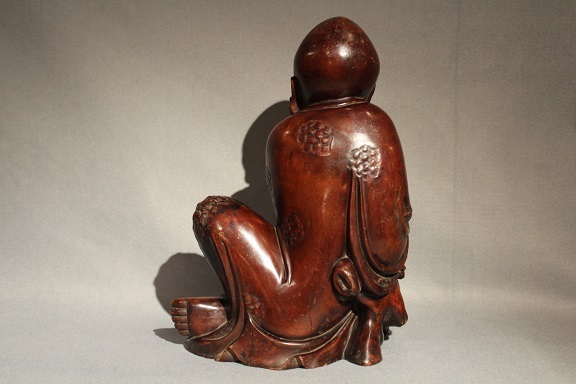 The Luohan is depicted quietly seated against a log in meditation, wearing a large monastic robe. 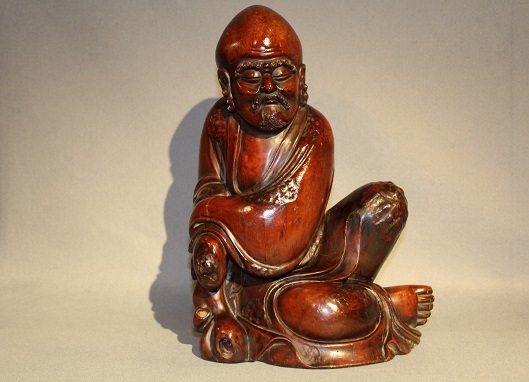 He leans upon his right arm which rests on a log support, his left arm resting on his right hand. His left leg is raised, the foot placed on the ground. 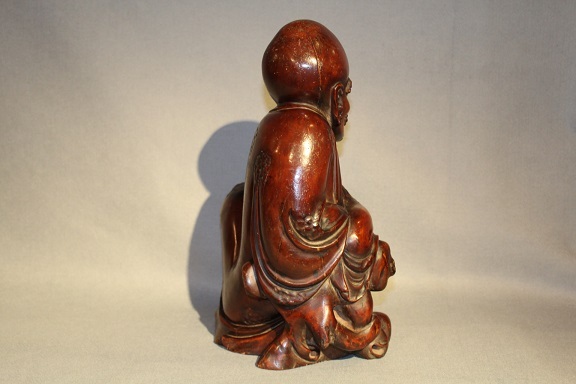 Carved in hongmu, the surface shows a beautiful patina.